What I wore to the gym today. Temperature roughly -9° C.
I haven't found a new down parka from the winter sales so far, so I'm stuck with this one. Other items include a Gant Rugger button-down shirt, Equus Leather Oak Brown bridle leather belt, navy Polo Ralph Lauren corduroy trousers and Meermin longwing derbies. Quite like the roll on these collars. 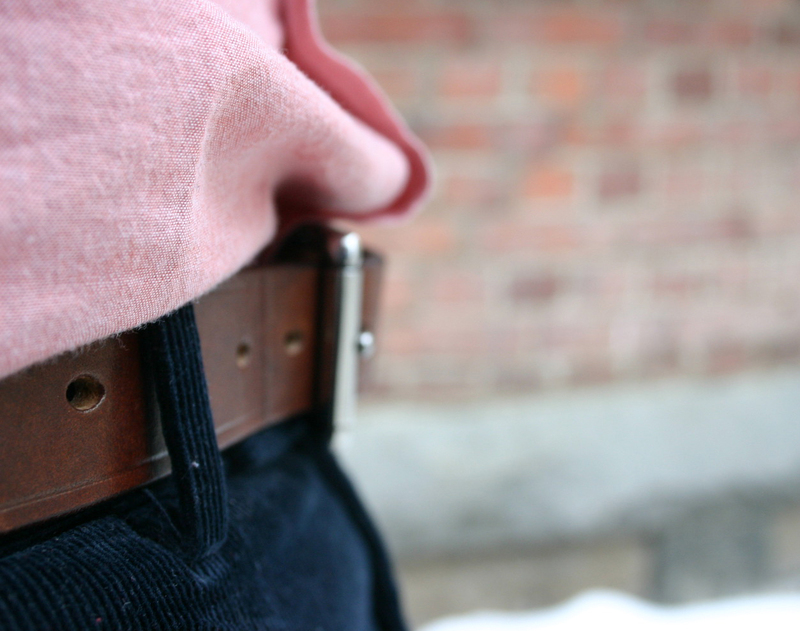 Equus Leather belt in Oak Brown and 1 1/2" width. The contrast with the navy corduroy is just fantastic. 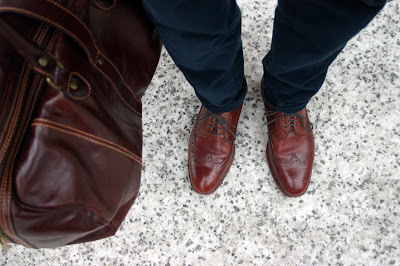 Meermin longwings and the holdall I use as my gym bag most of the time. I really like the oxford shirt. It looks very soft (the perfect "weekend" casual shirt). 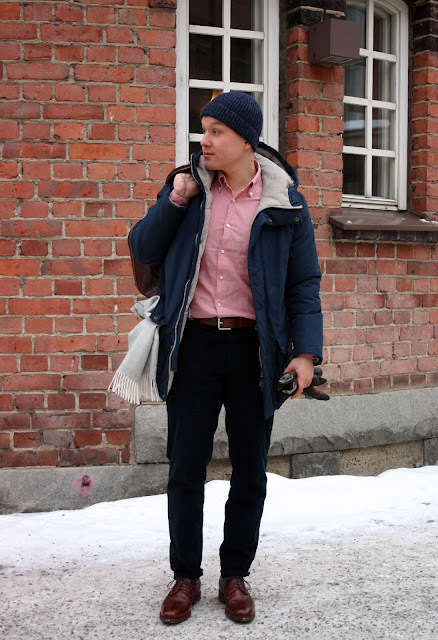 I have worn Gant since the 1980's, so it is no surprise that I noticed this shirt! I will have to buy one for myself. Yes. I actually thought I was ordering an OCBD when I bought this shirt, but it is actually selvage madras. Very thin, ultra soft. Even if the weave is similar to OC not sure if it qualifies as such? To be honest, I had not heard of selvage madras shirts before this one. 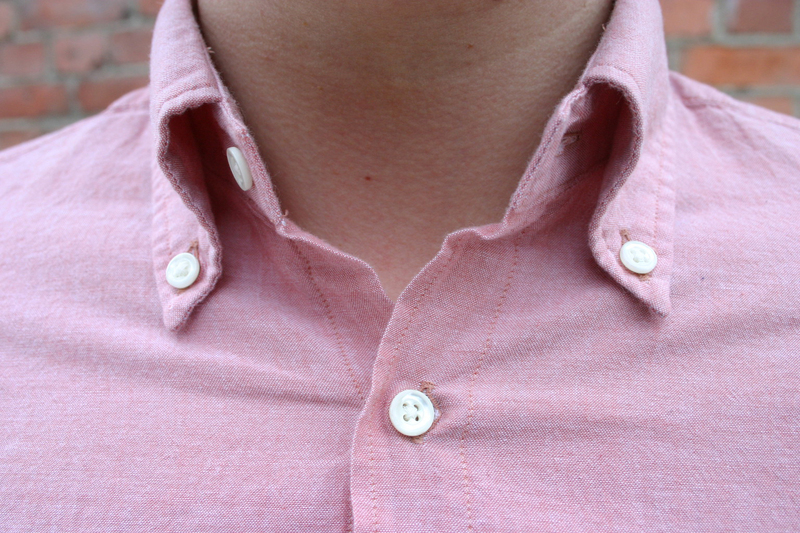 In any case, you're right, the collar roll, for example, on this piece is just immaculate. A great casual shirt!